Charles Page High School junior #1 Daton Fix (42-0) just doesn't slow down. At this point it wouldn't be much of a surprise if he pinned Chuck Norris. It was a surprise, however, to see the two-time State Champion wrestling at 126 lbs instead of cousin Jack Karstetter. Fix has wrestled 132-138 for the entirety of the season, but cutting a weight class didn't throw him off any as he pinned Daniel Sheets (Bartlesville) in 0:51, then made some of the top dogs in the state look like beginners. #7 Clayton Seleznoff (Moore) was teched 19-4 in 2:26, followed by last year's State Runner-Up #3 Andrew Nieman (Stillwater) who went down 26-11 in 5:40. For Fix, State Championships are just a stepping stone to his true goal of being an Olympic Gold Medalist. For most high school athletes that would sound a bit extreme, but Fix already has a Junior Olympic Silver Medal that he got in Nanjing China two summers ago. This is his third undefeated season and he has an overall career record of 115-0. 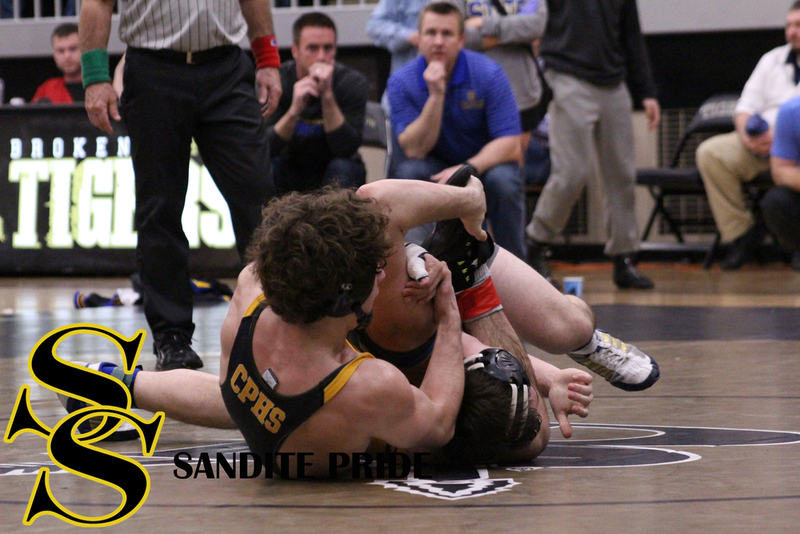 Nearly half of his wins this season were by pin. He's won six tournament championships this season and is currently ranked third nationally by FloWrestling. Fix will first meet Deer Creek's #8 Bobby Robinson (29-12) for the first time. From there he'll be pitted against either #5 Brady Mattioda (26-12) or #3 Drew Wilson (28-4). He's never wrestled either of them. On the other side of the bracket is #2 Dalton Duffield (39-3) of Westmoore. Duffield is Fix's closest competition, but Fix already has three wins in the books against the senior. They first met in last year's 120 lbs State Championship match where Fix walked away with an 11-3 major decision. 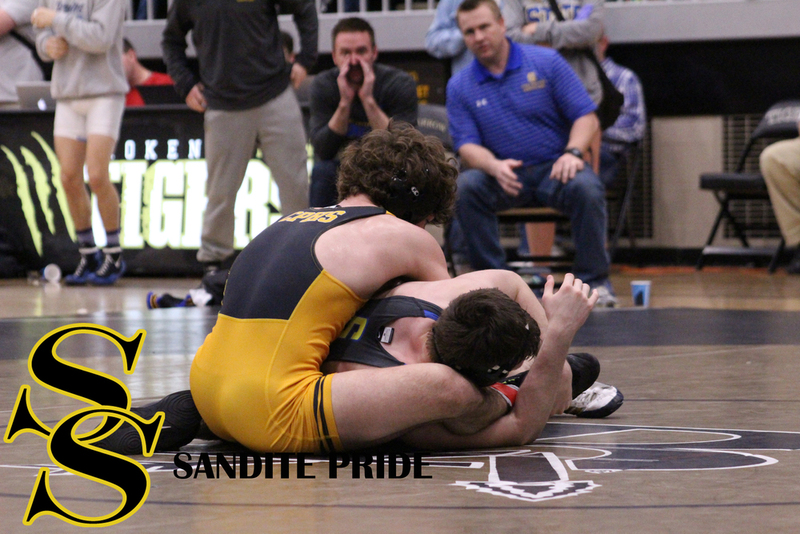 The Sandite extraordinaire added two more major decisions last summer in freestyle tournaments. 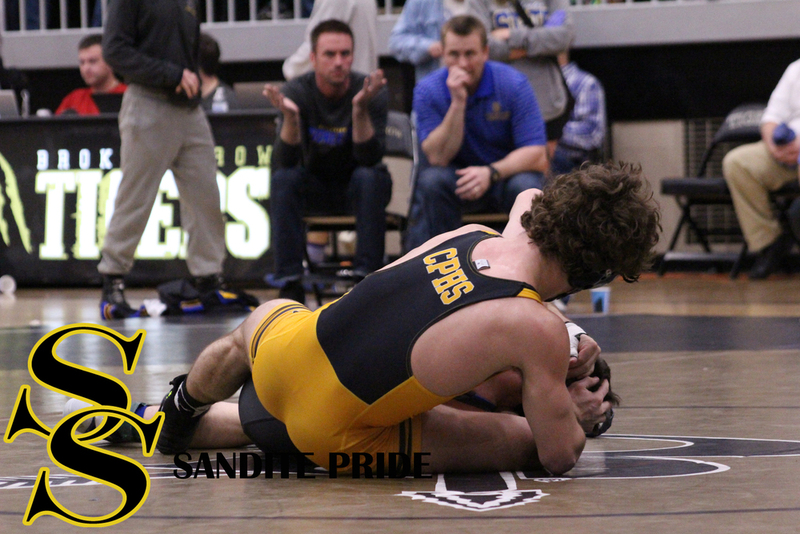 Barring a David vs. Goliath upset that even the Biblical hero would be dumbfounded by, Sand Springs should be able to count on a third consecutive Championship from one of the greatest athletes in school history. 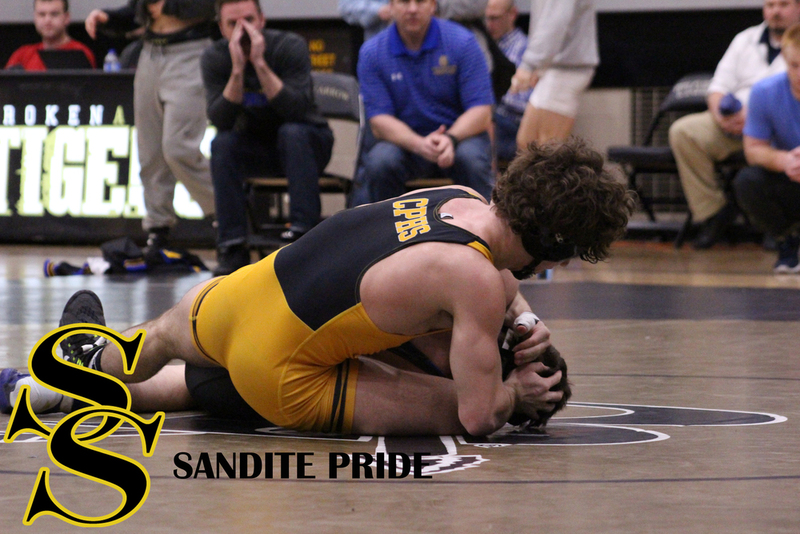 All photos may be ordered in print or digital format by emailing SanditePrideNews@gmail.com. 4x6 prints may be ordered for $1.00 apiece with a minimum purchase of $10.00. Digital copies can be purchased for $5.00 apiece with no minimum purchase required. 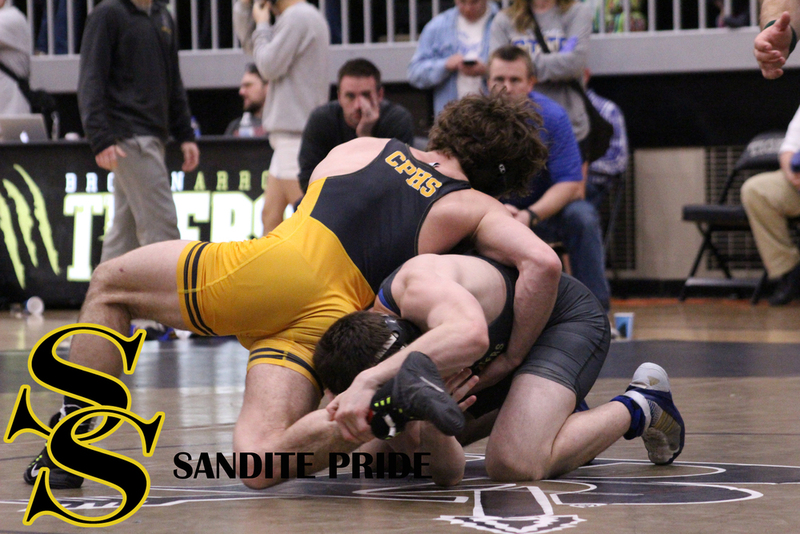 All orders will be received without the Sandite Pride watermark.